CLINTON woman Liz Norris is a fighter. After overcoming not one, but two, encounters with breast cancer, the 46-year-old is now encouraging women to get a check up. 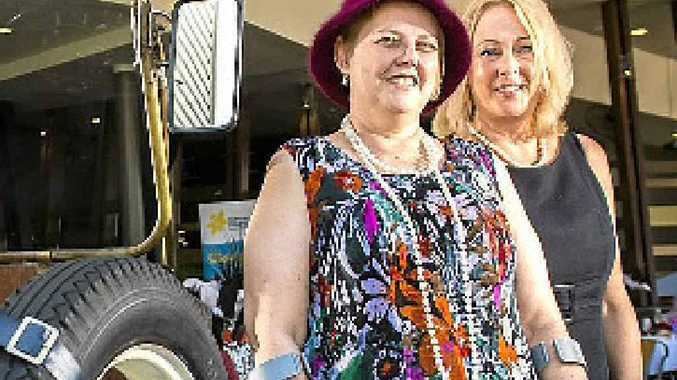 On Thursday, Liz spoke to a group of 70 women at the Cancer Council Queensland's Great Gatsby Garden Party at Yaralla Sports Club. The psychologist spoke about the ups and downs of her cancer treatment, which led her to be diagnosed with osteoporosis. She now encourages her friends to book in early-detection mammograms. "Most of my friends didn't know to start getting the scans at 40, but it saved my life," Liz said. "People all over Australia have gone for mammograms because they've heard my story." More than $1000 was raised at the Gatsby Garden Party.